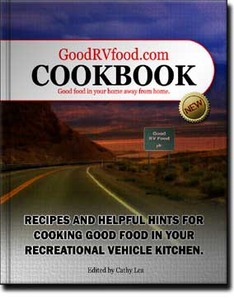 Our suggestions for making cooking in your recreational vehicle a little easier. Bamboo Skewers - by Judi Quan Rizzuto. Better Rice-A-Roni - by Ray. Burn Remedy - by Cathy Lea. Buttermilk Soak - by Roy and Mary Fralick. Center Cut Bacon - by Cathy Lea. Cutting Board Stove Cover - by Lynn Ellis. Dehydrated Food - by Roy and Mary Fralick. Egg In The Hole - by Jim Sooter. Fast Pasta (Water Saver) - by Shelly B.
Freezer Bags - by Judi Quan Rizzuto. Fresh Herbs For RV Cooking - by Curtis Connors. Grilled Fruit - by Judi Darin. Keeping Bugs Out! - by Pam Gott. Keeping Your Refrigerator Cool - by Cathy Lea. Meat and Potatoes - by Margie Tetmeyer. Oiling the Grill - by Cathy Lea. One Dish or Easy Recipe Cookbooks - by Steve Rance. 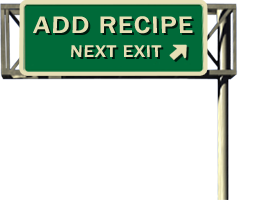 Paperless Recipes - by Barb Dalderis. Pillbox Spice Organizer - by JFW. Pizza And Bread Dough Go Bag - by Kim. Remove the Boxes - by Roadtrek Chapter Member. Rice Noodles for Non-gluten diets - by Joan C Scanlon. Scum-Free Shower Doors Cleaner - by Pam Gott. Secret Storage In The Microwave - by Michelene Kelly. Simple Meals - by Various. Taco Tips - by Gail. Tissue Box Storage For Pesky Plastic Shopping Bags - by Curtis Connors. Tortilla Stir Fry - by Roadtrek Chapter Member. Turkey or Pork Pre-cook - by Judy Bass. Vacuum Seal Bags - by Patsy C.
Veggie Netting - by Maribel Penichet. Water Conserving Cleanup - by Cathy Lea.